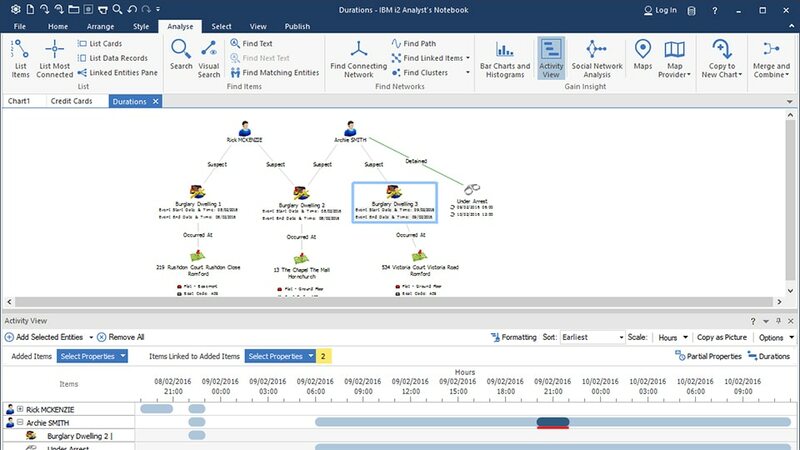 IBM i2 Analyst's Notebook Premium provides a one-stop shop integrating proven analytical tools within a rich data-centric environment. 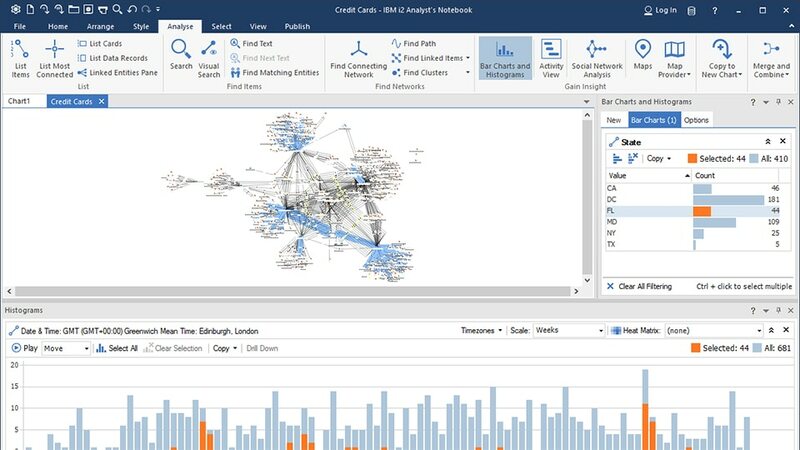 IBM i2 Analyst’s Notebook Premium helps analysts and investigators overcome the multitiered challenge of discovering networks, patterns and trends within increasing volumes of structured and unstructured data. 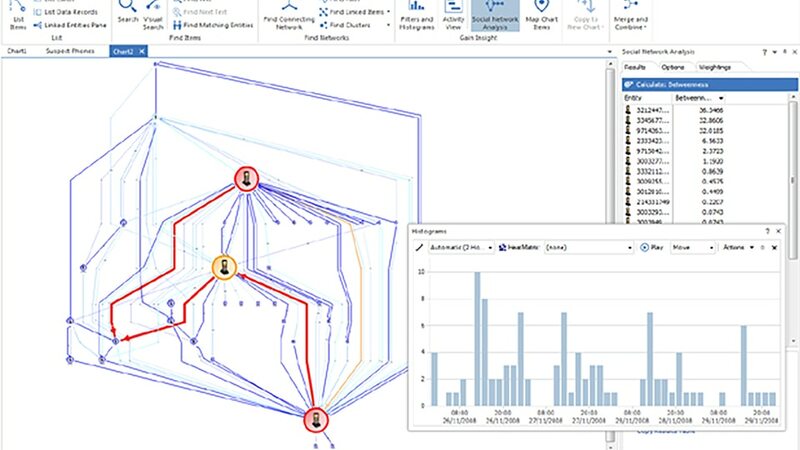 It features rich analysis capabilities, with a local repository that can reduce costs and time associated with multi-dimensional analysis. Take advantage of a single-user environment that enables effective data management of a wide range of information and intelligence from disparate sources. 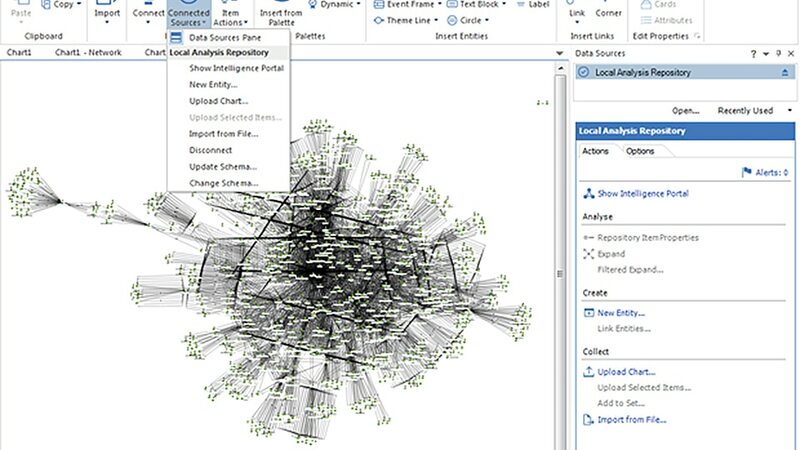 Increase information discovery potential visual queries, exact and fuzzy searching that can be applied simultaneously across structured and unstructured data, and local repository storage. Quickly highlight individuals, connections and patterns and share that information with intuitive, visual charts that organize supporting data for briefing and presentation purposes.